European economic integration has relied on policies intended to make the European Union strong and resilient economically, socially and politically. The Eurozone crisis and Brexit have demonstrated, however, how fragile this hope was and how contested reforms to the major European economic policies have become. 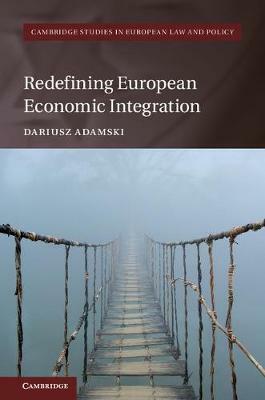 Dariusz Adamski explains the evolution of these policies - from the Economic and Monetary Union to the internal market, international trade, the EU's climate policy, as well as its redistributive policies - and demonstrates how this evolution has made European economic integration increasingly frail. He shows how erroneous economic and political assumptions regarding the direction of the European integration project have interplayed with the EU's constitutional context. Arguing that flaws in individual policies contributing to European economic integration can be remedied in compliance with the existing constitutional setup, he explains why such solutions would be economically beneficial and politically feasible.